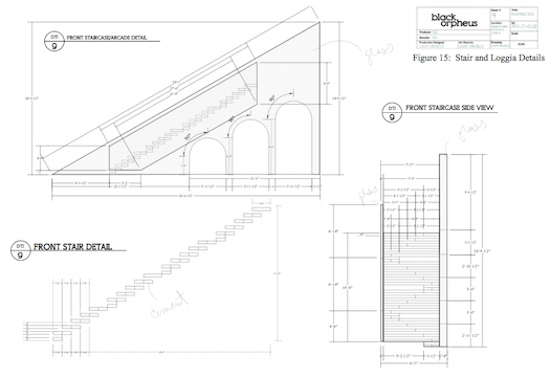 We speak to a lot of professionals about how they use SketchUp for their projects, but it’s been a while since we’ve highlighted some of the amazing work that students are doing in SketchUp every day. 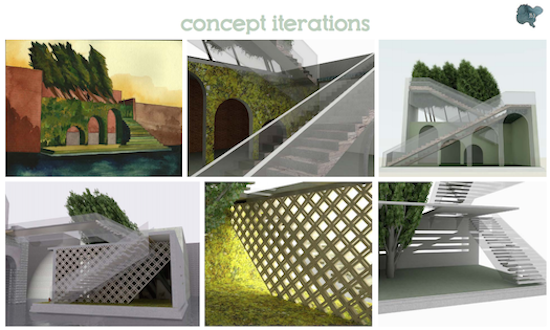 A few weeks ago, we came across Julia Carusillo’s thesis project website. She recently graduated from Savannah College of Art and Design (SCAD) with an MFA and, because we’re pals on Twitter, we found that she did a lot of work for her project in SketchUp. 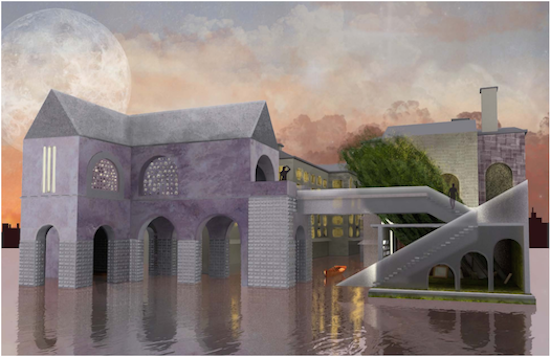 We don’t often hear about SketchUp being used in the context of an MFA, so we called up Julia to learn more about her degree and her thesis, a set redesign of the 1959 film Black Orpheus. Julia’s thesis project was the culmination of her MFA in Production Design. The project includes concept iterations, perspective drawings, elevations and renderings. 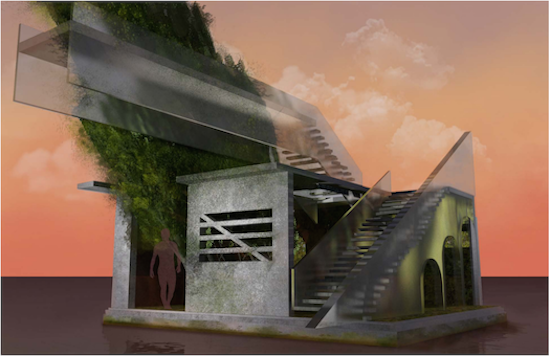 Julia used SketchUp to draw and refine her model, then used creative-oriented software programs to paint scenes for more texture. Her final assignment only called for one set redesign and Julia completed two, Orfeu and Serafina’s homes, the film’s lovers. Now that Julia has received her MFA, she plans to move to the west coast and pursue her dream of working in the film industry, behind the scenes designing sets. Her advice to others in pursuit of studying production design? Be in the academic program that lets you go on set and see that not everything you model is going to be the way you created it, and to be okay with it. We’re excited to see what’s next for Julia. See more of her work at JuliaCarusillo.com. Very interesting project and visuals! 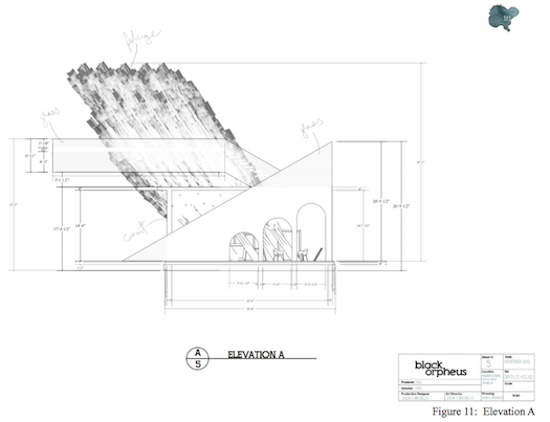 I love reading about others' processes and how they use SketchUp. I used SketchUp in conjunction with Shaderlight as an intergral part of my MA thesis at Iowa State. I'm now a full time lecturer in the Interior Design department and am introducing SketchUp to our Sophomores in week 2 this Fall for the first time.